Event calligraphy couldn’t get more autumnal than this! 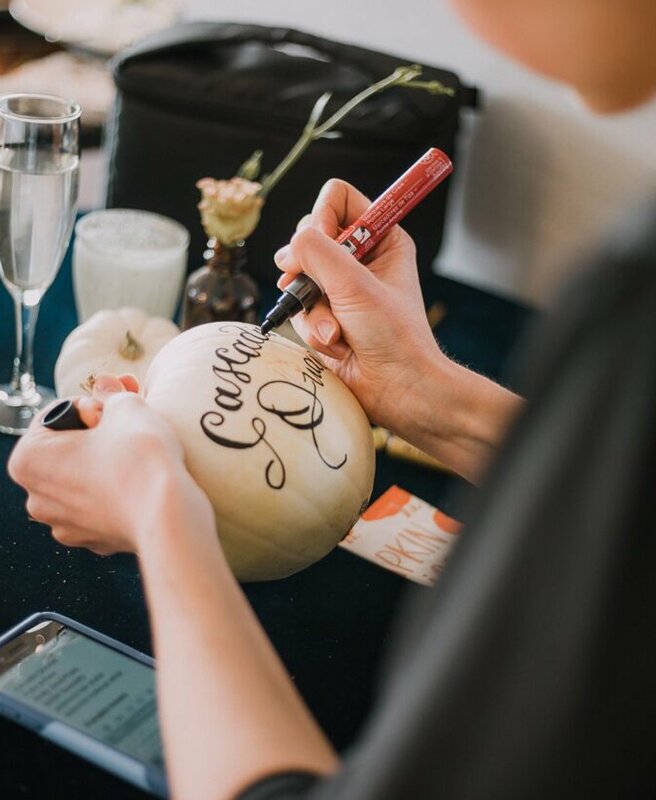 I handlettered these pumpkins in-person for a wedding industry event at the DoubleTree Victoria. This pumpkin spice spectacular was planned by Emma Mccormick and let me tell you- it was fun!!! These pretty pics are by Molly Grant Photo. I used a paint marker for the hand lettering. The pumpkins looked quite pretty and oh-so Festive!